Published February 7, 2013 at 480 × 360 in Opening – gallery photo. 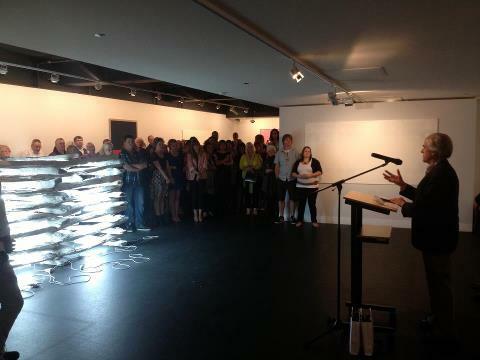 It was a huge night at the Gippsland Art Gallery on Friday with the launch of our three new exhibitions. Here is Charles Nodrum officially opening ‘Indicate’ and Clive Murray-White’s exhibition. Thanks also to Bill Young for opening Helen Masin and Pauline Bailey’s joint exhibition Land Sea Structure.